Here at CoMac machinery Ltd we listen to your requirements and then create a bespoke machine to cater to your production needs. We understand that each company has their own specific needs that need to be addressed. Please contact us today with your specialist requirements and we will be happy to help. When a gasket or hose has lost its structure you need to replace it, often quickly. We carry a range of spares to our machines that can often be delivered overnight. We are waiting by our phones and computers to help you out as quickly as possible so that you can continue to meet your production schedule. 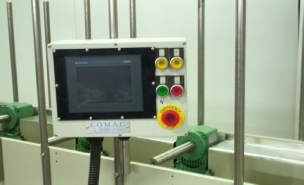 CoMac Machinery Ltd will build your machine to your agreed design no matter the size. We take great care to build your machine to last. We believe that by building to the highest standards it helps you provide a great service to your clients. 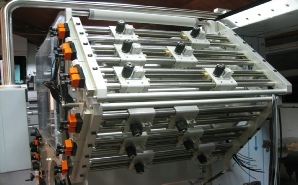 Why not contact us to build added quality into your company and increase your production capacity. Here at CoMac machinery we offer an upgrading service that will keep you running for another decade; which will significantly improve your return of investment on our originally machinery. We can offer a range of upgrades dependant on your needs. Why not contact us today to enquire how we can keep your production equipment running. A little bit of attention can keep your machinery running smoothly. We can offer you a servicing contract whereby we come to your business and keep you on schedule. 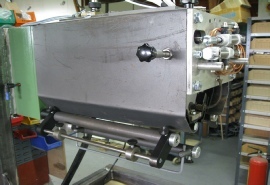 Whether you need that glue head cleaning, or your rollers running smoothly, we can help you produce the results for your customers. Why not drop us a line to schedule that little bit of investment that could save you a fortune in time and money later. Sometimes your machine need that little attention to keep working efficiently and here at CoMac Machinery Ltd we can recondition your existing machine to keep you going. Whether you need that glue tank re-finishing, or your wiring needs attention, we are here to help. Please contact us with your needs and we will be happy to advise you.